Circle shaped covered in intricate patterns. 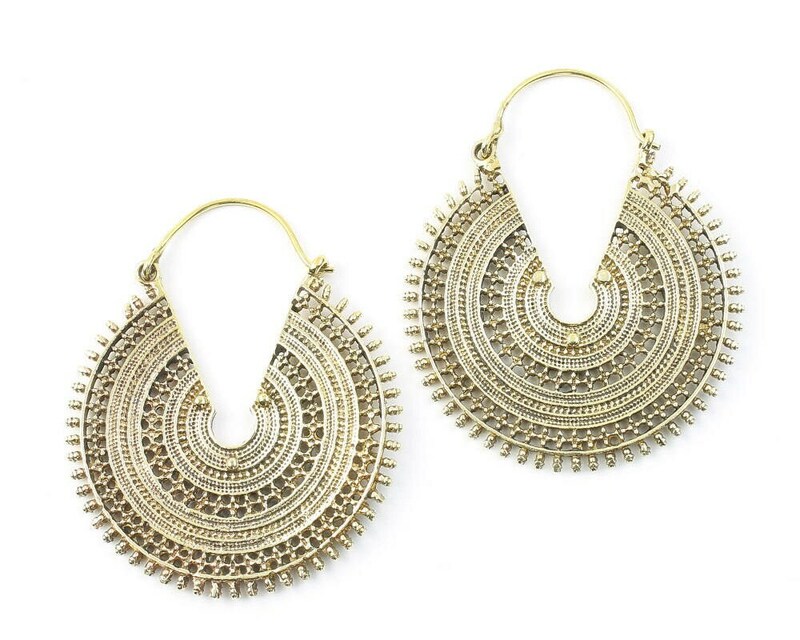 Love these earrings! Fast shipping! Will be purchasing more items in the near future!